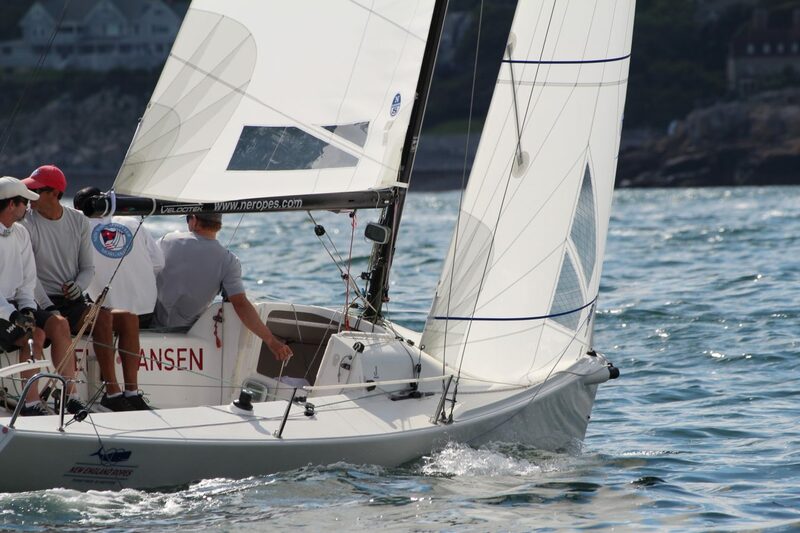 Forty-seven J/70s attended the Ted Hood Regatta held in Marblehead this past weekend in preparation for the upcoming World Championship end of September. 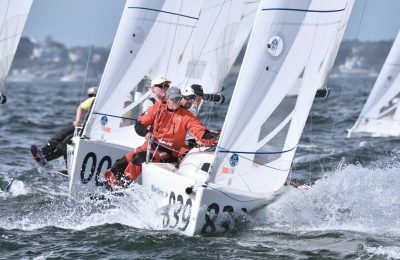 Competitors saw three days of pleasant racing conditions allowing for a total of seven challenging races with winds ranging between 8-15 knots from the SE. 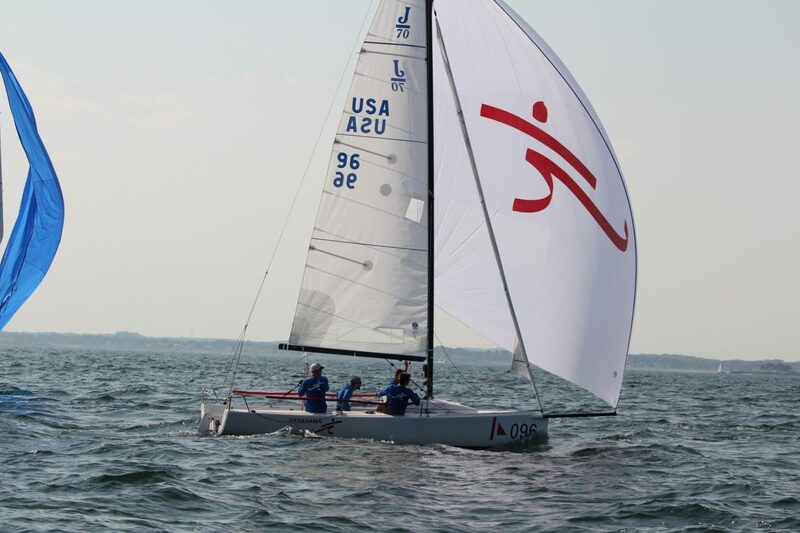 All three days were very similar, with moderate to heavy chop, which comes as no surprise being a precursor as to what sailors will be expecting at the Worlds. 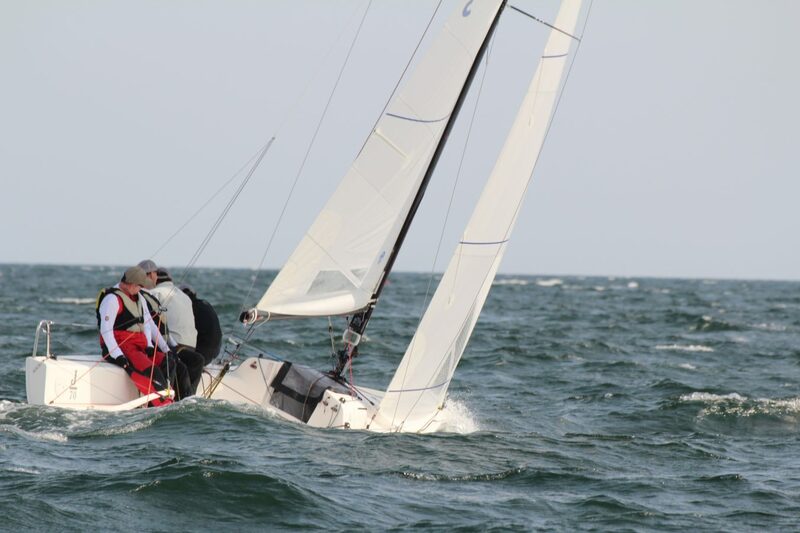 We caught up with North Sails expert Tim Healy to get his thoughts on his regatta winning inventory. 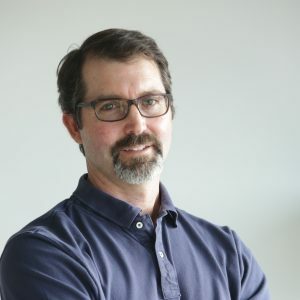 Tim used the XCS-2 mainsail, J2-High Clew Jib, and the versatile AP-1 spinnaker, which he credited his power over chop, speed in light to medium conditions, and overall performance. North-powered teams finished 1, 2, 3*, 4, 6, 7, 8, 9 and 1st* place in the Corinthian division. 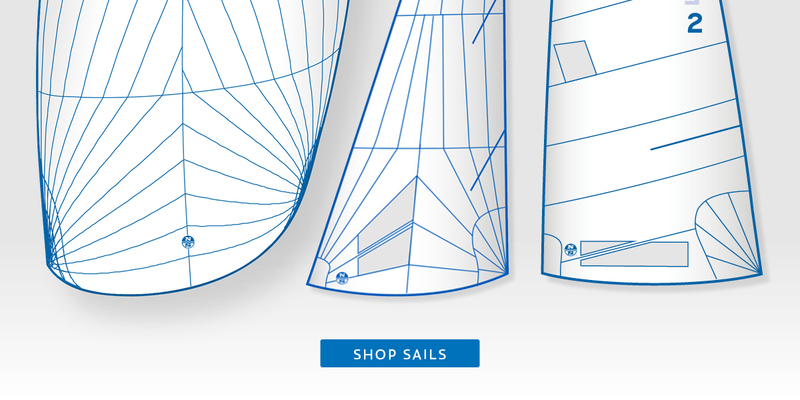 Need new sails for the Worlds? Order online or call your North expert today. Brian Keane’s Savasana, 2nd place with two race wins. 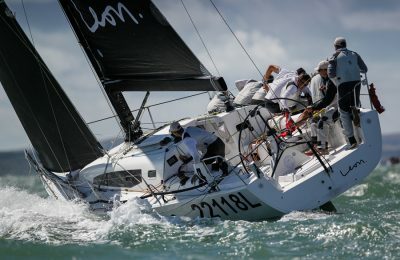 Powered by North Sails. 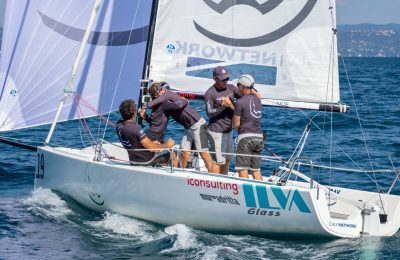 Jack Franco’s 3 Ball JT – powered by North Sails.